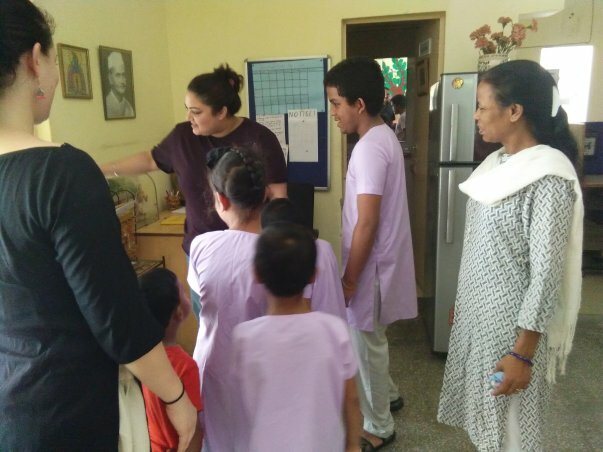 Volunteers and Founder/Director of DIKSHA recently met with the Special Needs children at their home in Palam Vihar. 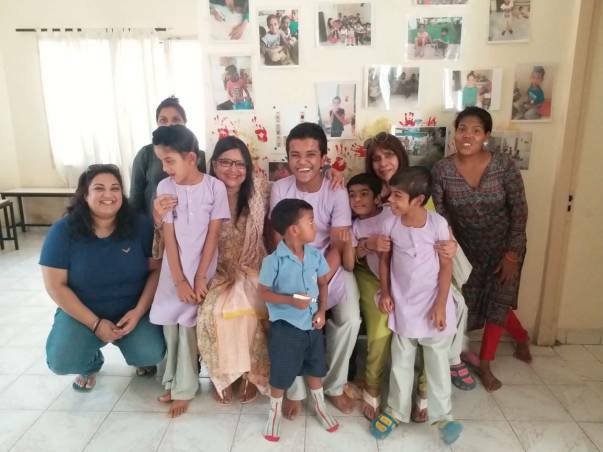 Courtney and Yogesh Lalotra are the founders of 'Samarpan Home' which is a refuge for such children and provide 24/7 love and care by their dedicated staff. 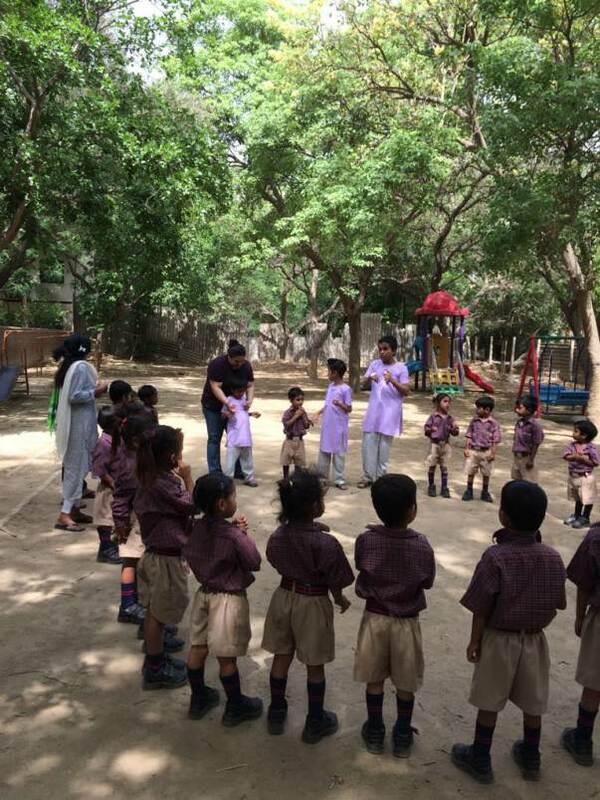 Their mission of “Changing the World One Child at a Time” has much in common with DIKSHA’s mission of “Celebrating Childhood”. Our visit to their home resulted in their return visit to DIKSHA. The children were welcomed by our children and staff alike. On May 23rd 2018 the Special Needs Children Section of DIKSHA was officially announced. 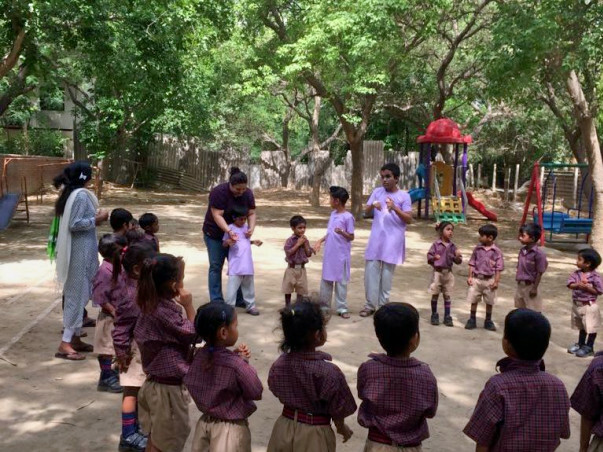 Joining hands with Samarpan Trust has resulted in five special needs children have been enrolled in the school. This is a landmark event for us especially since it is our 10th year and allowing us to broaden our horizons to help needy children in this area as well. 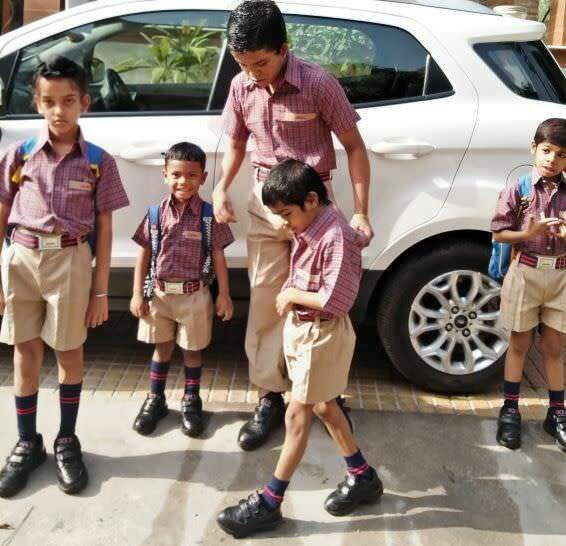 It is a landmark event for the children themselves as they stepped proudly for the first time into a school in uniforms. The need of the hour for us to proceed in the proper direction is the availability of a Special Educator/Counselor. It is felt that the right person will not only be available for the five special needs children but will also be able to assist in helping backward learners and dyslexic children in the school. The total number of children impacted by such an individual will be approximately fifty and perhaps all the 400 children. We are looking for a teacher who is dedicated and passionate about changing the lives of children. This teacher must have qualities like patience, empathy, and an intuitive and calming nature. Organization, creativity, and a diligent work ethics are also crucial traits for the Special Educator position. Experience and education in the fields of Special Education and/or Psychology is favorable. This teacher will not only be addressing the needs of our five children whom have already been diagnosed with various mental challenges but will also be responsible for providing educational and personal counseling for all students enrolled at DIKSHA and will work with visiting psychologists to address any learning/developmental challenges and implement IEPs (Individualized Education Plan) accordingly. The teacher must be well-rounded and have good communication skills as they will be responsible for communicating with school teachers, volunteers and staff pertaining to students' needs/IEPs. In the light of this, we are proposing to support the employment of Special Educator/Counselor at a monthly remuneration of Rs 15,000 with an annual salary of Rs 1.8 lakhs. With your support we are hoping this special chapter in DIKSHA will open. We would like to express our deep gratitude for those who have donated and are helping to make a significant difference in the lives of the five Special Needs children. Your funds are helping to pay the salary of the Special Educator. The pictures below show the amazing progress in development that they have been making. Thank you for your most generous contributions! Your funds are allowing the holistic development of the special needs children under the guidance of the Special Educator. The children have made great progress since they joined DIKSHA. They are confident and look forward to interaction with other children in school. 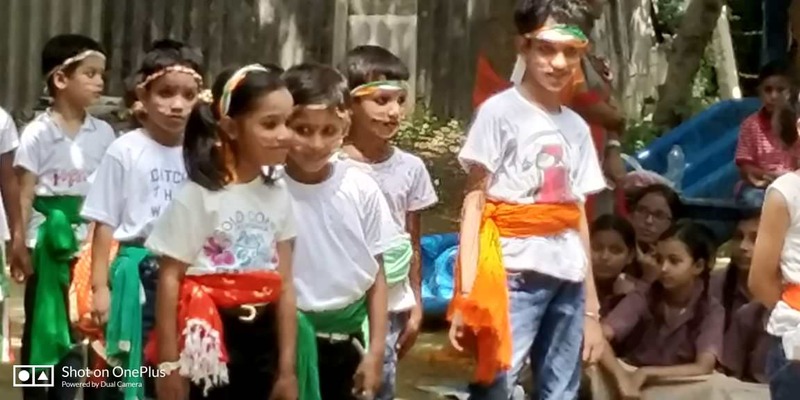 They have taken part in cultural activities of the school with great pride and joy. Thank you for your generous contributions towards our Special Needs Section at DIKSHA. Your funds are helping to pay the salary of the Special Educator who is looking after the special needs of the 6 children. As a result of the program the children are slowly transforming and becoming part of the regularity of the school timetable. They look forward to coming to school and also being part of school activities like games and yoga. With your support we are making steady progress in changing the lives of these children.